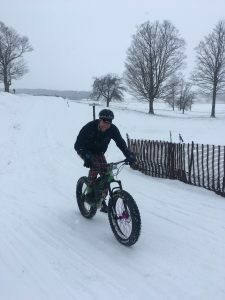 Outside of ColoRADo or Western North Carolina, our next favorite place to ride is Davis, West Virginia. 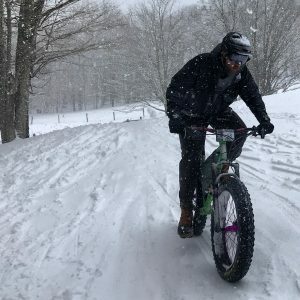 Not only is the riding amazing the local cycling community is just as good. 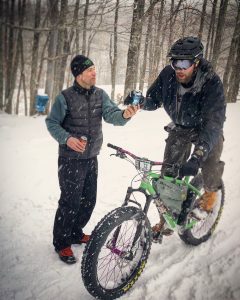 So when we were invited to come up and race the Mountain State Fat Bike Championships both REEB Cycles and Oskar Blues jumped at the chance. 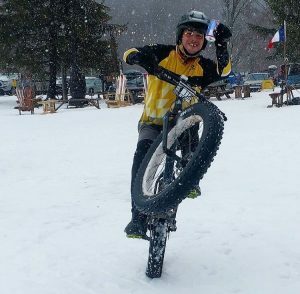 We hauled our demo fleet from Brevard, NC and enough Oskar Blues beer to fuel the party. While the racing was competitive the party like atmosphere good times were definitely rollin’. The format for the race was a 2.5 mile course. 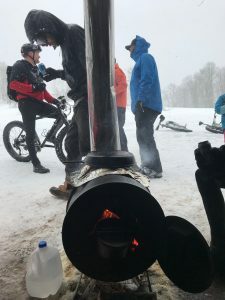 Our good friends (and local REEB dealer) at Blackwater Bikes manned the mid-way aid station and keep the racers properly hydrated with OB beer, white light’n and fresh cooked bacon. You could opt between the XC (5 laps) or XXC (10 laps). 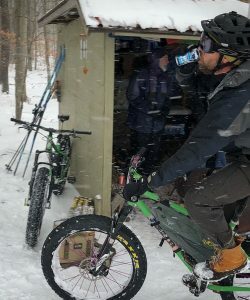 It was a good thing I chose the XC as Im not sure i could have handled any more IPA or Dales hand-ups. 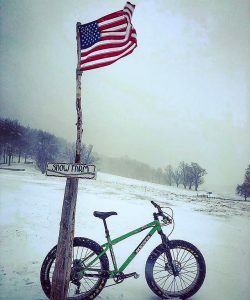 If you are ever in West by God Virginia, make sure you get yourself over to Davis to ride. 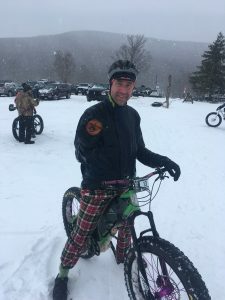 Stop in at Hellbender Burritos for post ride grub and get the local ride intel from Rob at Blackwater.